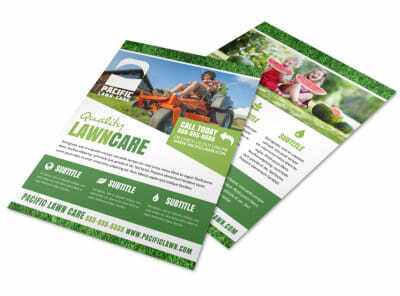 Grow your lawn care client base without missing a day on the mower by custom-designing your own flyer that can handle the marketing while you keep up on the maintenance. 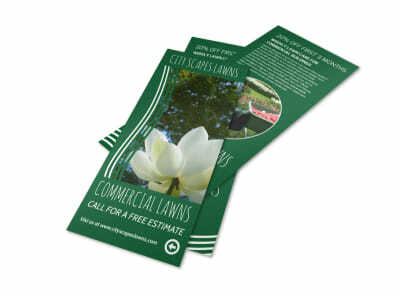 We’ve got a full bloom of not garden-variety lawn care flyer templates to save you time and money. 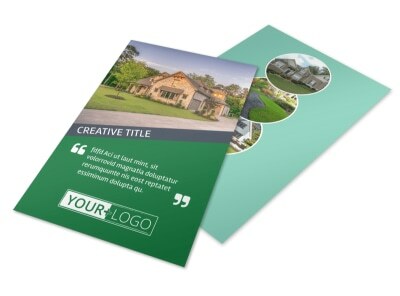 No need to hire a pro designer – you can do it yourself with the help of our online editor. 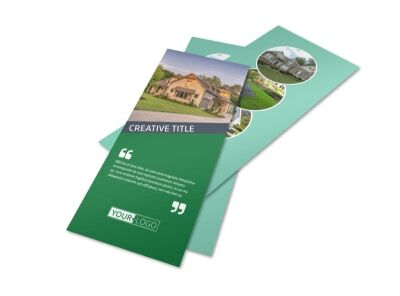 Flyers are made to be seen, so share your finished product on every social media platform and print a box or two anywhere you like. 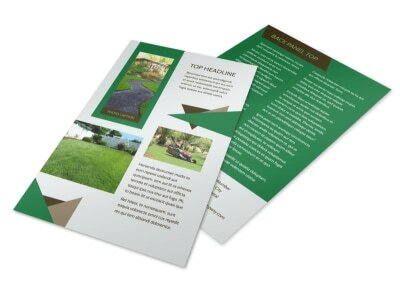 Before you head to the first yard of the day, set someone to work distributing your flyer to every lawn-owner in the community and wait for that seed to sprout! 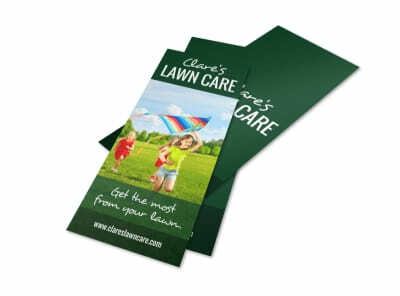 Running a promotion for new or first-time lawn mowing service customers? 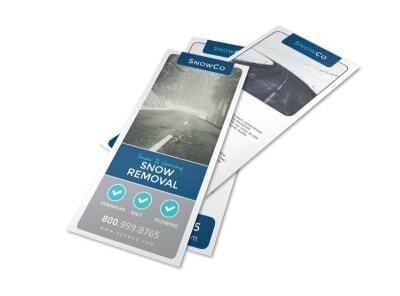 Increase your adoption rate by designing an eye-catching “Special Offer” flyer and distributing it to homes and businesses in your target neighborhood. Lay out the details and specifics of the offer (who qualifies, cost, expiration date, what’s provided) and include a description of the full range of your lawn mowing services (including pricing), so that they can elect to continue entrusting their lawn care to you! Our online editor makes the design process completely customizable and accessible to everyone. 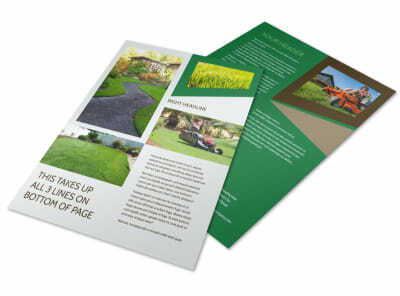 Your completed flyer will be ready to print in no time. 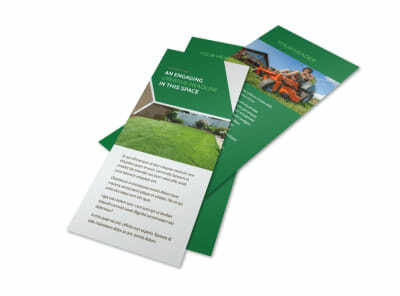 Your potential lawn mowing care clients need to know what you have to offer. 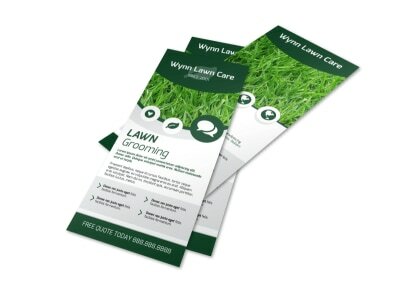 Design an attractive and informative flyer that spells out all of the service options you provide. Describe your plan frequencies, whether bi-weekly, weekly, or will-call, along with any à la carte services, like fertilizing, aerating, weed control, and gardening/flower care. Don’t forget to include your reasonable pricing structure, and glowing reviews and testimonials make a great sidebar (and help to justify your prices!). 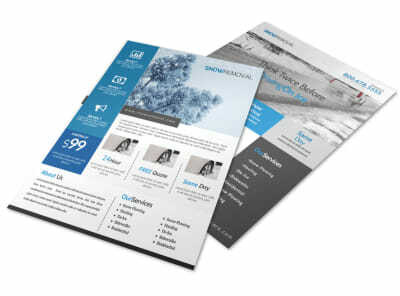 The MyCreativeShop online editor allows you to upload photos of your work and customize all aspects of your flyer’s design and content. Get started and print yours today! The changing leaves of autumn are beautiful, but they leave behind a big mess as winter approaches. 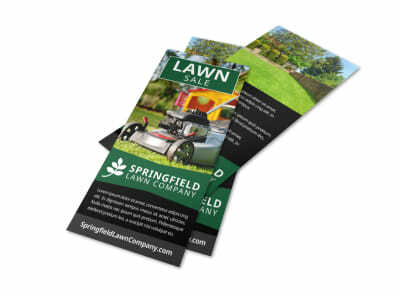 Rake up some new clients for your lawn mowing company’s fall cleanup service by customizing your very own captivating “Fall Cleanup” flyer. Everyone loves to watch the trees turn from green to red and yellow on a fall colors tour, but surprisingly, they don’t come back with rakes a few weeks later. Fill the gap for your community by utilizing the tools of your trade to make the fall to winter transition less painful. 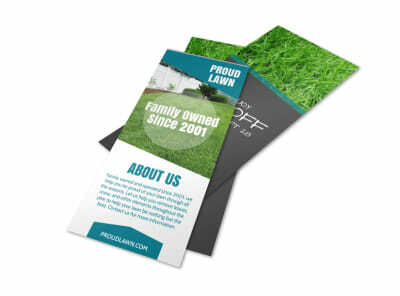 Our online editor makes it a snap to personalize your flyer, and our printing services mean we will never “leave” you hanging! One of the fastest ways to grow your lawn mowing business is by relating to your customers in a way that makes them share your name generously with their circle of friends. 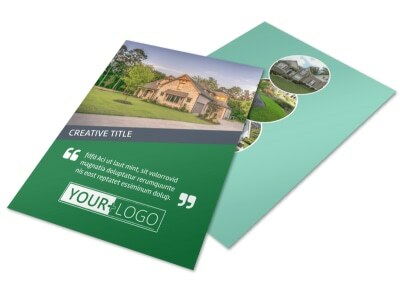 Take the first step by designing your own “About Us” flyer that shares the heart behind your venture. Lay out how you got your start, who’s on your team, and what you specialize in. Include glowing testimonials from past and present clients. A great photo of your team adds a personal touch. Our online editor lets you upload your logo and photos, customize the design to your liking, and gets you ready to print immediately!